Here’s a real taste delight! 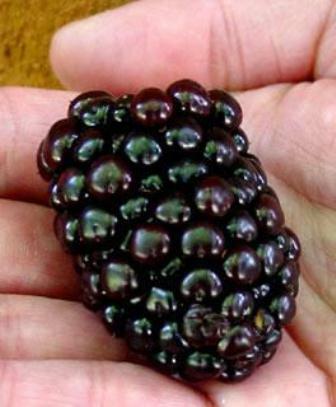 The Darrow Blackberry brings you the best in flavor. If you have ever eaten wild blackberries, you know there is nothing like there intense, deep, true blackberry flavor and aroma. 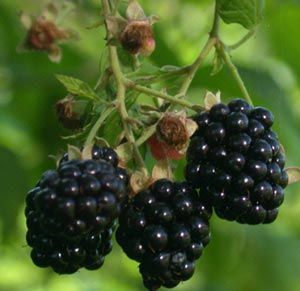 Darrow is very similar to the delicious flavor of the wild blackberries but even better. 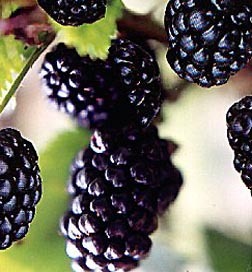 Darrow (and often again in early fall) you will harvest huge, delectable berries with that same wild-picked taste, but minus the problems. Darrow berries will produce in top form for many years. Make indescribably delicious cobblers, crisps, pies, jam, jelly, syrup, liqueurs and wine at a fraction of the cost of store-bought berries. The antioxidant health benefits alone are reason enough to plant these beauties! Proved 100% fruitful. Sweet Darrow Blackberry bushes are very thrifty, vigorous growing bushes that are exceptionally hardy — having withstood temperatures of 22 below zero. The bushes are upright with very strong canes, being able to hold up a heavy crop without breaking down. 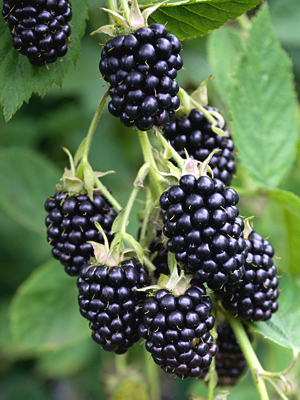 This highly productive plant yields enormous ebony-black, juicy sweet blackberries that seem to melt in your mouth. 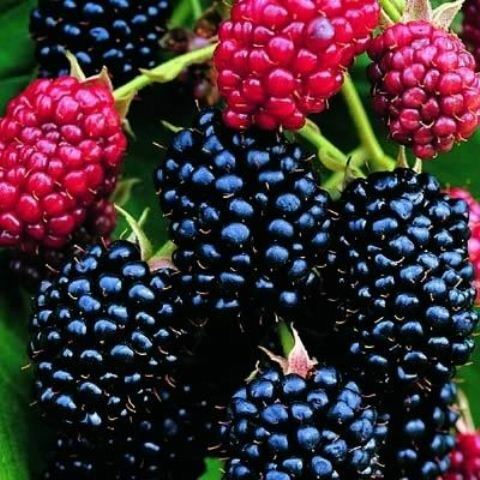 It is without question one of the best blackberry varieties you can grow! It delicious flavor, high yields, enormous size, long season of bearing and perfect hardiness in the coldest parts of the country make DARROW one of the most valuable of all species for eating.